Last shipment of parts arrived, so last night was build night! 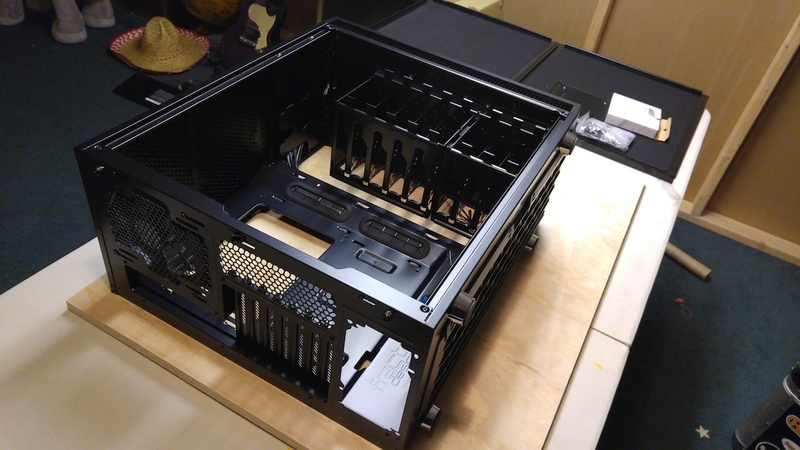 It was probably one of the easiest builds I’ve ever done and I feel that the case was a big part of it. 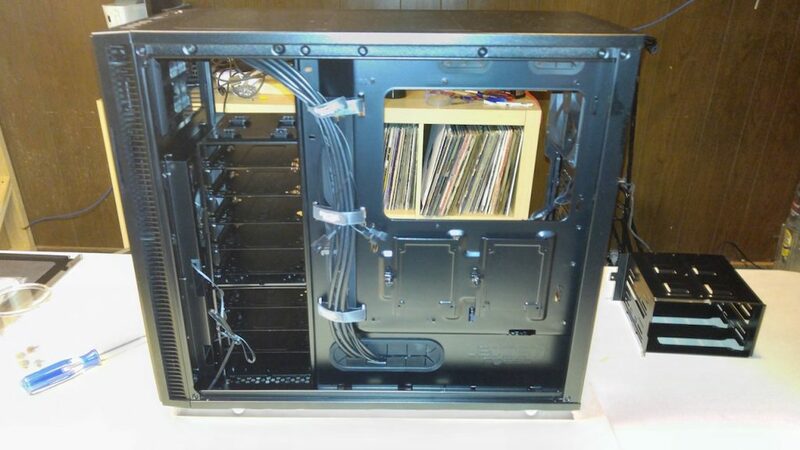 Easy cable management with a ton of room to work made the whole process a bit easier. I was happy to get to the BIOS on the first power up, and was able to get into the unRAID web UI after a restart. Within an hour I was able to get the drives assigned and formatted, user shares created and access levels managed with user accounts. The parity check took about 11 hours, so I let it run overnight and copied over a few videos to test Plex. Getting Plex installed and running was simple! I was able to map my /media user share to a /media directory in Plex’s Docker container and successfully played video back in Plex on my Xbox One. I’m pretty impressed with unRAID, it’s super simple to set up and get running! Check out the build video and finished build pics below! 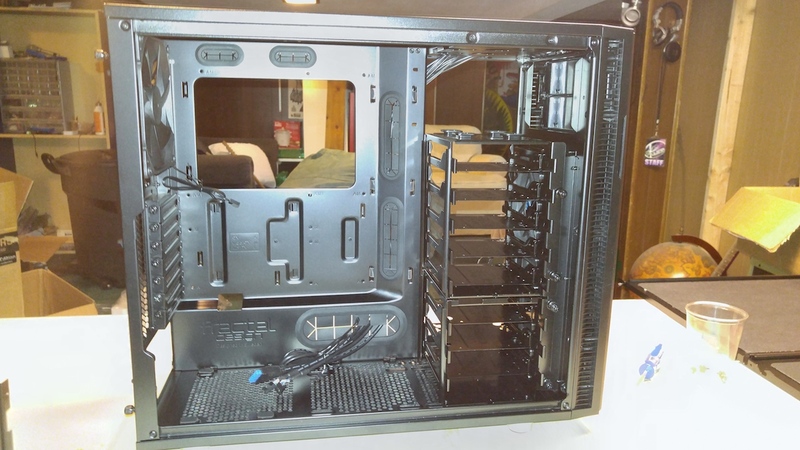 For specs on this build check out this post. The case arrived today, and it’s a monster! I love how solid it feels and how minimal the exterior design is. There’s cages for 8 drives, I think I’ll use the 3 at the bottom. With special mounting plates for the SSD the 3 space bay will be enough to get me started. There are a lot of channels for cable routing, even has little velcro strips for cable management! The rest of the parts arrive Wednesday, I’ll probably plan on doing the build on Friday after work! I decided to do a bit of thrift store hunting this weekend and managed to pick up this sweet little Crocodile toy that will make a great test case, along with a cell phone speaker case. I was happy to find that the crocodile had a button built into it so I just snipped the wires and used that! The amp was a little bit more of a let down. I pulled the whole thing apart down to the battery pack, control circuit and speakers. Unfortunately even at the highest volume settings it’s painfully quiet, but it’s enough to get the point across. Right now I just have my test recordings saved to the SD Card, next step will be adding in some actual recordings I’d want to use. I will include the early submissions I’ve gotten from friends and will probably record my own Motivational Monday posts from the past couple years to fill out the content. From here I think the next step will be building it into something a little more robust than a plastic crocodile, a more powerful audio amp with clearer speakers and then I think it’ll be time to collect recordings! I’ve decided that it’s time to upgrade the home server and get working on building a new NAS. 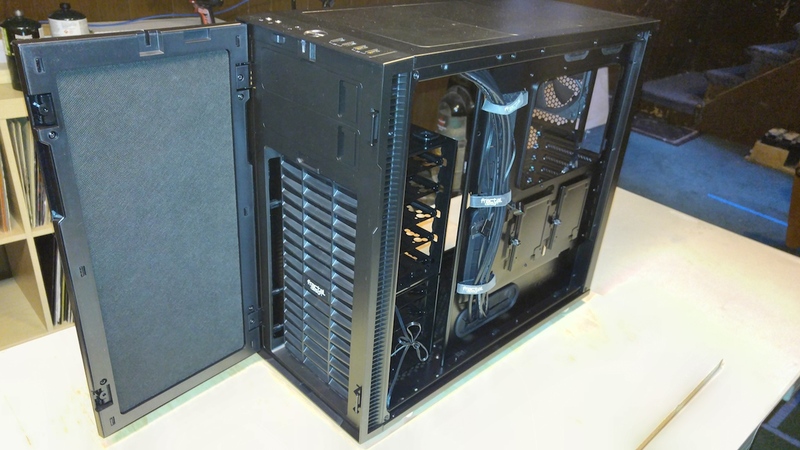 My first home “server” was just a windows box I ran headless. I’d RDP in or map the drives from my other computer. From there I built a freeNAS setup which worked well but I struggled with getting everything working correctly and ended up moving to Ubuntu 14.04. This has served me well for the past couple years but I feel it’s time to upgrade the hardware and give something new a try! I decided to go with unRAID this time. One of the early making projects I worked on with my good friend Powermitten. It was a side by side bicycle, no shared steering, no shared gearing. 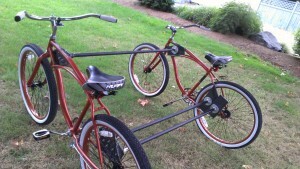 It was just two bikes welded together. 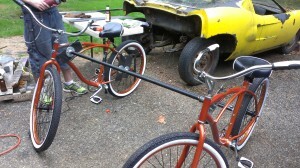 Our goal was to create a fun bike to ride at Burning Man that could pack up easily. 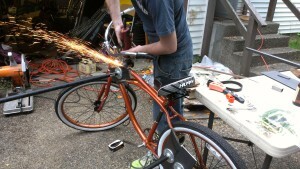 We ended up welding flanges onto the bikes and used metal bars to connect the bikes. 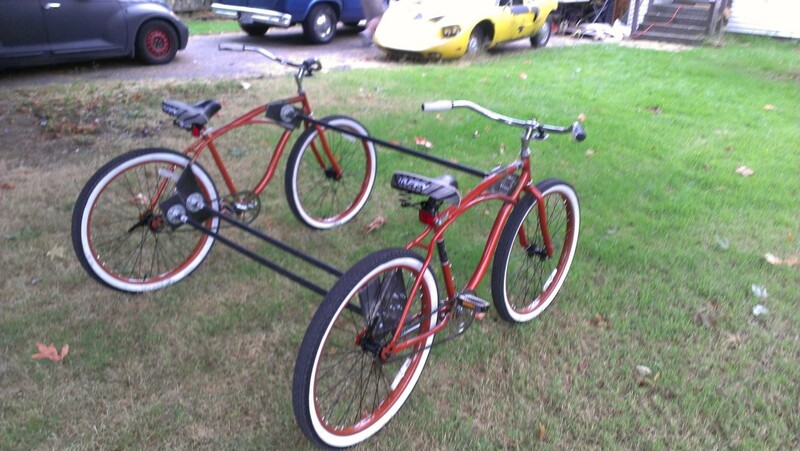 They worked well, even when one bike broke the other was able to drive both frames! When I first got into Arduino I saw a few useless machine videos that caught my interest. I did a lot of prototyping but never ended up building the full box. I still plan to someday, just need to find the time! The code can be found here. Much love to Lamja who originally posted the code I based mine off of. These videos document my early prototyping and testing. I’ve had this idea for a while where I wanted to build something that is interactive and can help give someone a little bit of motivation. From these vague goals the Motivation Station was born. The basic design is pretty simple, press a button and a recording plays back of a motivational statement. The recordings that get played will all be submitted or recorded for the project, and part of the goal is to be able to update the library with new recordings made on site with an Android device, using FTP or another file transfer protocol. This post is going to be a collection of my random notes and ideas, later posts will hopefully be of the build itself! The code so far can be found on my GitHub check it out it’s my first time using python! Audio needs to be loud enough and clear.